The chrome-plated wear guards on the uprights ensure that you won't scratch up the uprights even if you re-rack the bar above the J-hooks. The J-hooks are lined with ultra-tough UHMW plastic to protect your bar's knurling and reduce noise. You can use many benches with this rack, but the STS Multi Function Bench shown in the video will use the included stringer to attach securely to the rack. The double cross beam (one just off the floor and one about 8" high) construction is a nice feature to help keep the rack from wobbling under heavy loads. 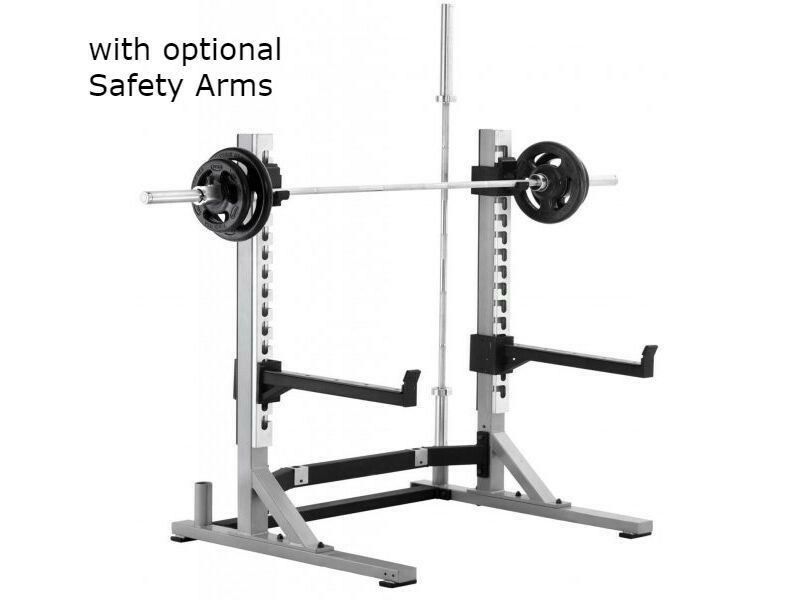 Safety Arms - Fits on the front of the rack, enabling you to lift safely. 27" long, 2"x2" steel. UHMW plastic wear guards run along the top of the arms, just like the J-hooks. Extra J-Hooks - One pair is included. 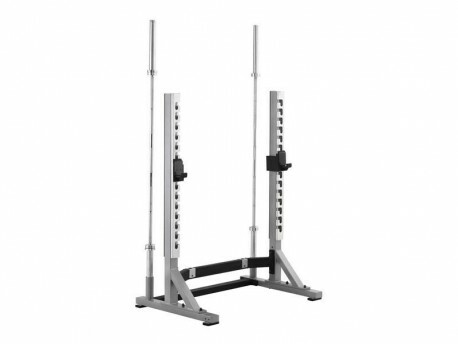 Get a second pair if you don't want to have to adjust them between bench and squat heights. 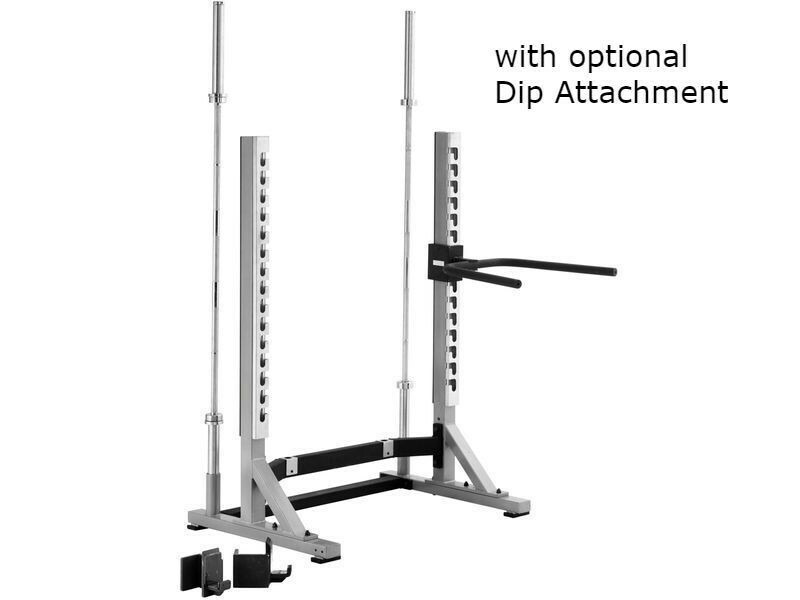 Dip Attachment - Fully welded and designed to easily lock into the hook plate system. The dipping arms are painted wrinkle black and aggressively knurled for an outstanding grip. The Dip Attachment arms are angled out from a narrow to a wide hand spacing to accommodate any size user.